SIGN THE PETITION TO SAVE SAEED! 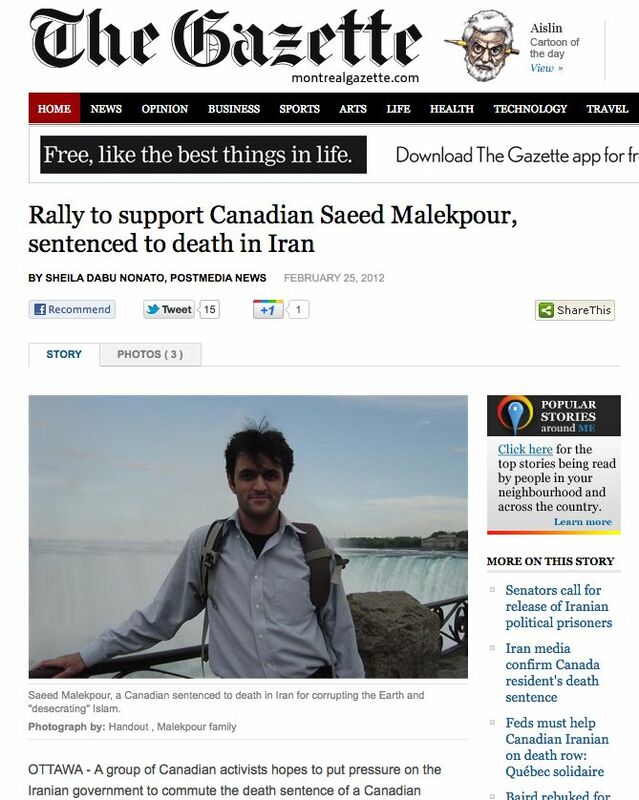 URGENT APPEALS NEEDED: Saeed Malekpour Risks Death at Any Moment! “Mr. Masoud Shafii did everything in his power to defend Josh’s, Shane’s and my innocence within the parameters of Iranian law. When his efforts were stymied, visits denied and court session postponed without explanation, he complained through the proper channels. Despite this, though Shane and Josh were released over six months ago, Mr. Shafii continues to be punished by the Islamic Republic for his work on our case. 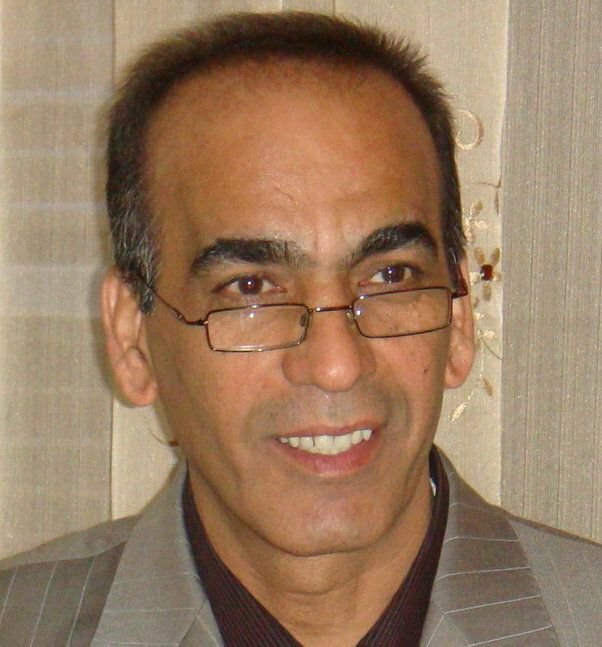 By punishing Mr. Shafii, the Iranian government is sending a message. They want to make it clear to other lawyers in Iran that if they dare to take on political cases such as ours, the same will happen to them. In 2009 Archbishop Desmond Tutu publicly addressed the Iranian government on behalf of Josh, Shane and myself, “Stop playing games with their lives,” he stated candidly. Now, I would like to echo this same sentiment on my lawyer’s behalf. 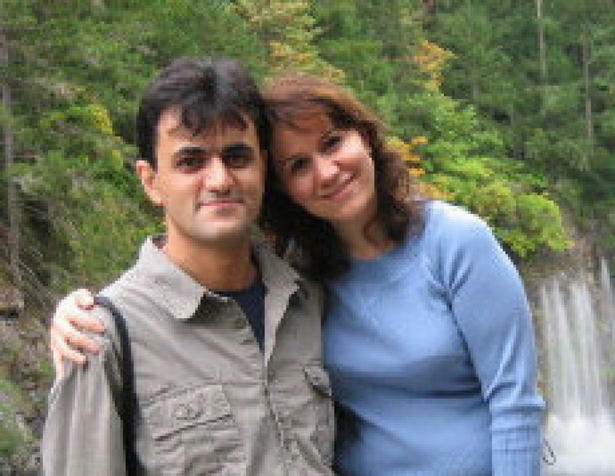 Mr. Masoud Shafii deserves to visit his family and sister’s grave in the U.S. He deserves to continue in his profession. TAKE ACTION to support Masoud Shafii! 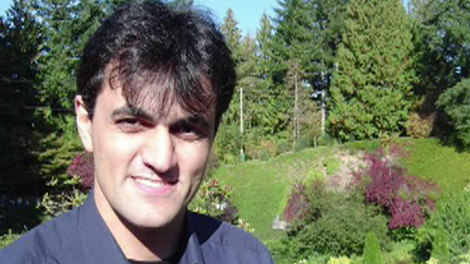 TAKE ACTION to stop Saeed Malekpour’s execution! 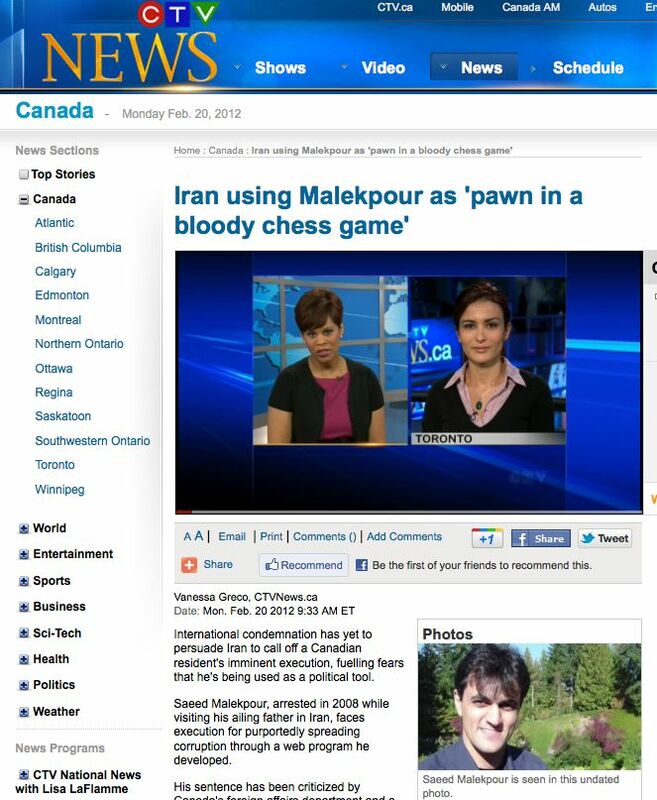 Human rights activist Maryam Nayeb Yazdi says civil citizens should speak out and say the Iranian regime should give Canadian resident Saeed Malekpour a fair trial. 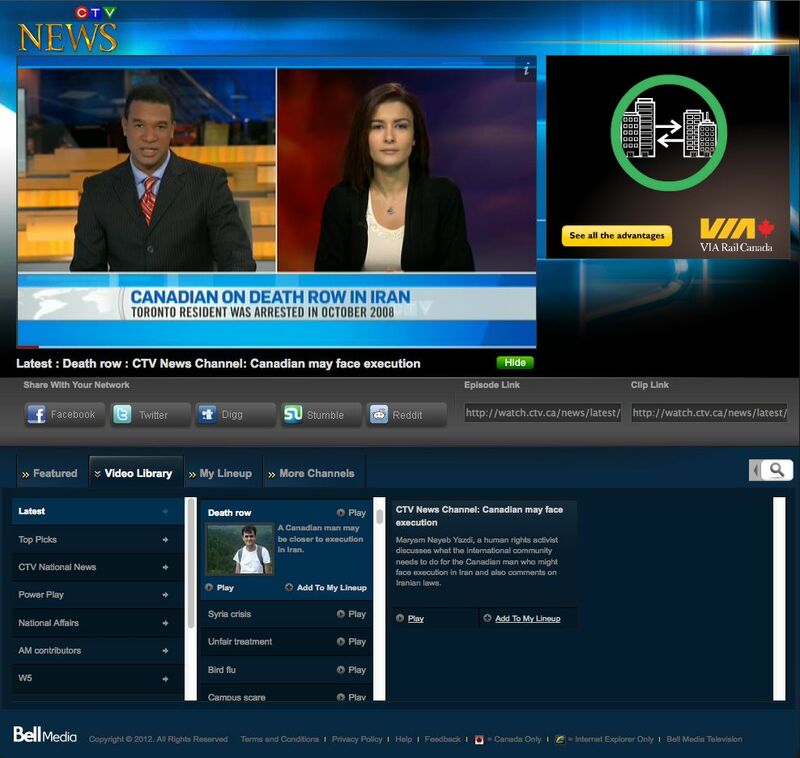 Human Rights Activist and Coordinator of the Saeed Malekpour Campaign, Maryam Nayeb Yazdi is interviewed about the latest news regarding Canadian resident Saeed Malekpour, at risk of imminent execution by the Iranian regime. She discusses the Canadian government’s actions regarding his case, what the global public needs to do, and urges the United Nations to release an urgent appeal. 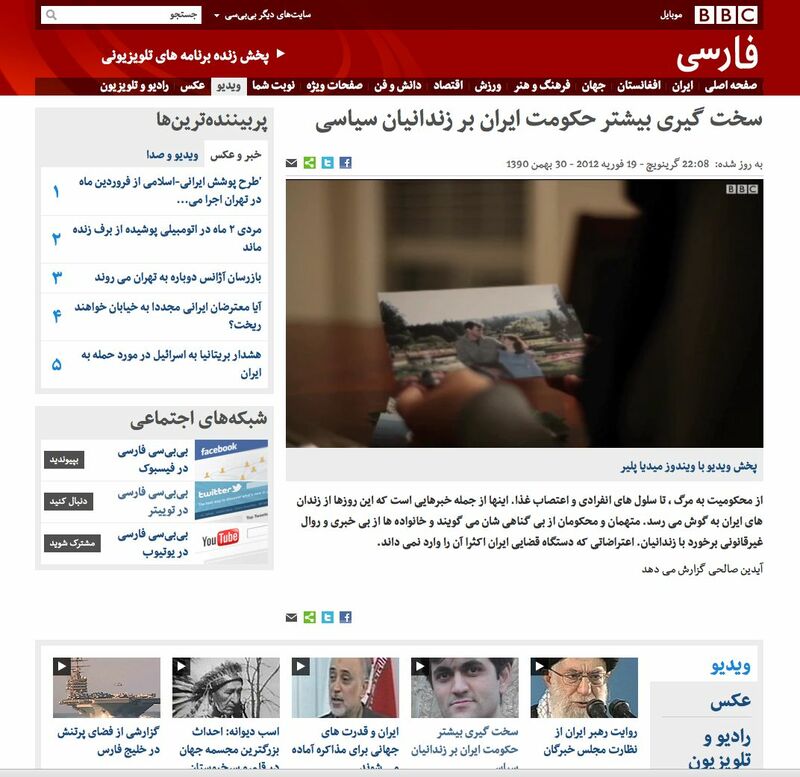 BBC Persian reports on Saeed Malekpour’s imminent execution, including a recording of his voice from Evin Prison in Tehran, where he says that his arrest and imprisonment is illegal and that his confessions were extracted under torture (translation from Farsi provided by the Saeed Malekpour Campaign). Olivia Ward, Foreign Affairs Reporter, tells the heartbreaking story of Saeed’s peaceful, unpolitical life before his arrest, and the unbearable pain he and his loved ones have faced since his arrest and death sentence. Listen up on IDPD 2015!